posted on May. 31, 2018, at 9:00 a.m. Brand leveraging in the design industry allows designers to strengthen their clientele. The NKBA’s reimagined website aims to increase its members’ online visibility to other professionals as well as to consumers to help generate business leads. 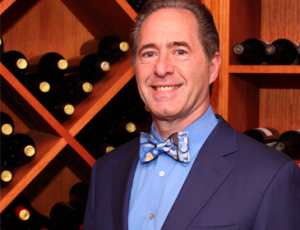 Peter Salerno, CMKBD, owner of Peter Salerno Inc., Wyckoff, N.J., utilizes his profile for extra exposure. Salerno’s been an NKBA member since 1990, and he regularly attends chapter meetings. PS: The best benefits have been the exposure to cutting-edge products in our industry. This availability of information can better my skills as a high-end designer. NKBA: How has your chapter benefited you? PS: The chapter meetings are helpful to keep current on products as well as sharpening my skills as a businessman and designer. NKBA: What are some specific chapter events and presentations find to be worthwhile? PS: The chapter events that I find to be the most beneficial are the ones that help me in my everyday sales and designing. The seminar on new lighting and the evaluation of the light bulbs and fixtures was very informative. I also found the presentation on the use of porcelain slabs on floors, walls and countertops relevant. “How to sell to Millennials” was a great presentation, it helped me create a strategy for a new target market. NKBA: What do you love about KBIS? PS: I love the energy at KBIS, the product education, the professional education, the networking, reconnecting with my friends in the industry and meeting the new generation of designers. I look forward to it every year. NKBA: What other important aspects of having a complete profile would you like to share? PS: The NKBA profile is a great way to show the world your work with a great portfolio. Your photographs will show the consumer your talent and design skills.